Representation of the TYPO3 project and the TYPO3 Association through public appearances and keynotes at the TYPO3 Association‘s events. 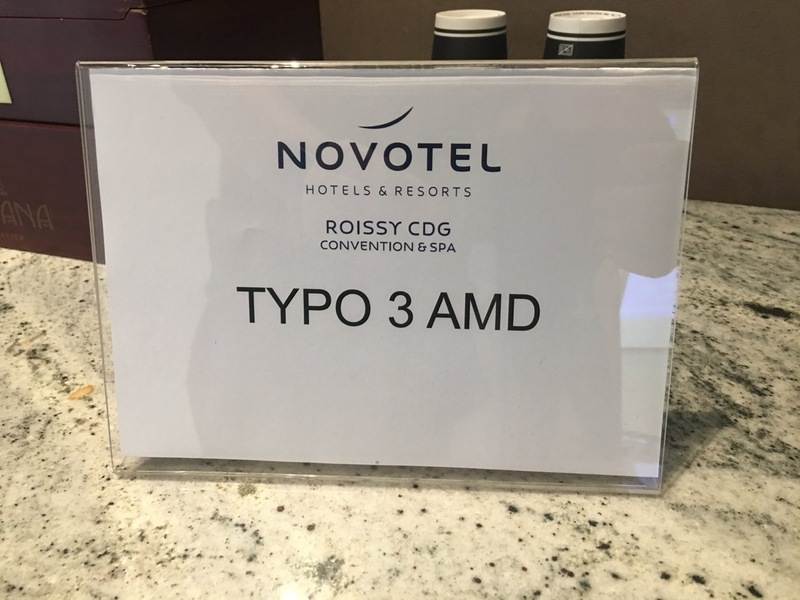 – quoted from "TYPO3 Association President's job-description"
It's the third year that the TYPO3 Association together with the Community Marketing Team organizes the TYPO3 Agency Meetup Days (AMD). In this year, as before, I visited some of those occasions to meet, speak and listen to our TYPO3 Association members. This year's events have put Hamburg, Paris, and Vienna in my calendar. In this blog post, I try to make a resume of the topics and discussions observed. 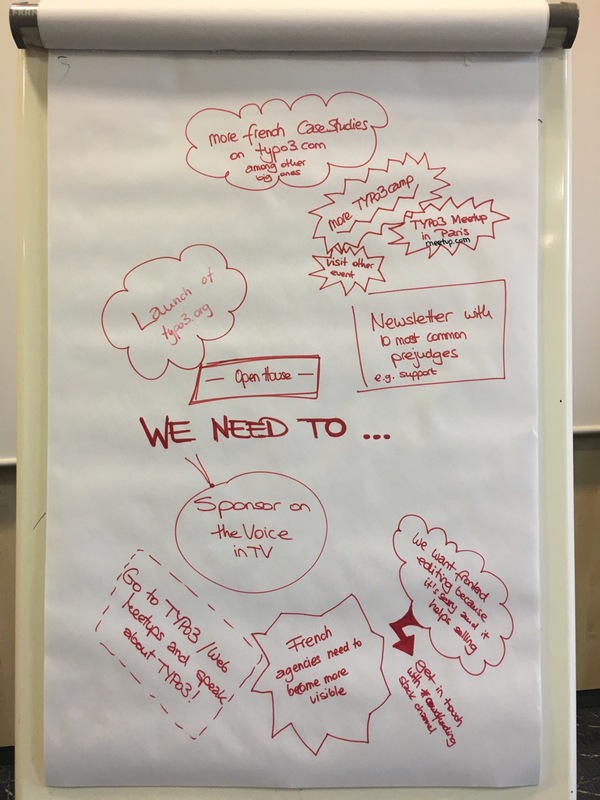 15:30 - What has happened from the networking perspective in the past year? One key outtake of my visits to the different TYPO3 Agency events: Each City, each country is different. 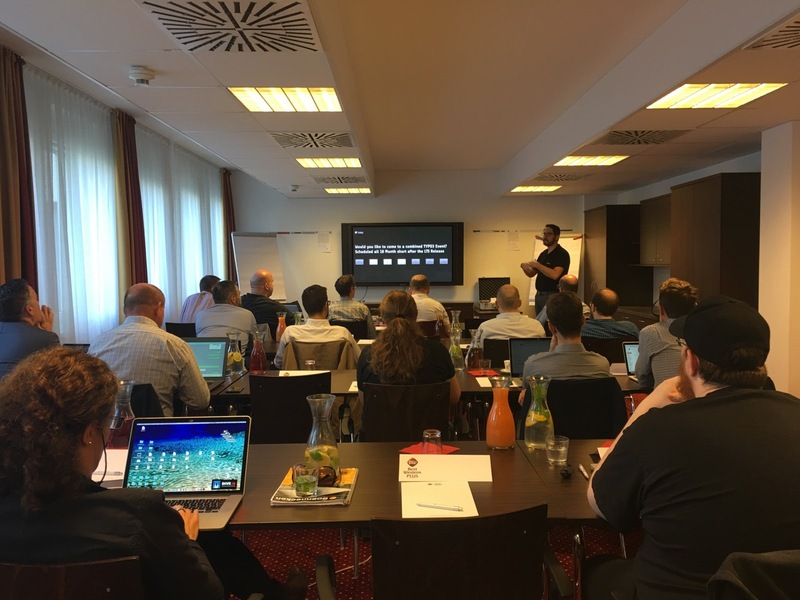 This comes naturally from the constitution of the event, such as how is TYPO3 performing in the local ecosystem, but also how everyone is using TYPO3 and its toolset to present their agency and the solutions they build. Meetups in Germany are traditionally more into a deep discussion on where TYPO3 is heading too, whereas Meetings with french agencies center around how more events can be organized together. Common is the passion that drives the discussions between the participants. I really enjoy to listen and join with my experience. As President of the TYPO3 Association, I am privileged to hear many things before they become official. On the other side, I tend not to overreact to things if they are close to rumors and have you heard. Strikingly, and if you compare to the beginning of the Agency Meetups, confidence into TYPO3 as a CMS product is back. Both current LTS version 7 and 8 have enabled agencies and their projects to be competitive and state of the art. We have profited from the PHP renaissance and the will of our community to use best practices like composer, git, containers and cloud infrastructure. The effort here can't be underestimated. The adapted release cycle of TYPO3 offers the best experience for all involved and offers a great amount of certitude. Additional offerings such as the service level agreement or the paid extended long-term support are additional confidence boosters. CMS is still relevant, but how can we cater for the future? Content management is still relevant for most of the commercial and non-profit organizations, that's sure. But how can we prepare for a change and the challenges that are around? My simple answer: Concentrate on the "What" and not on the "How". I know that the TYPO3 Community and its agencies are extremely tech-savvy. This creates often a situation, where the "How" overlaps the "What". I have observed many discussions on how TYPO3 could be doing this while using that advanced technology as XYZ. Such concepts hold the risk of staying in a certain frame and losing sight of the vision shared: Enable and empower those with our tool so that they can create value out of it. I am confident that our community will be able to cope with the mentioned above and be healthy and prosperous together. Mathias and the TYPO3 GmbH have worked hard on products, communication, and analysis of required actions. Results are looking good. Agendas are full with Todos. A strong product like TYPO3 is only possible with a strong community. That's crystal clear to all involved. Unfortunately, this is not obvious to all. 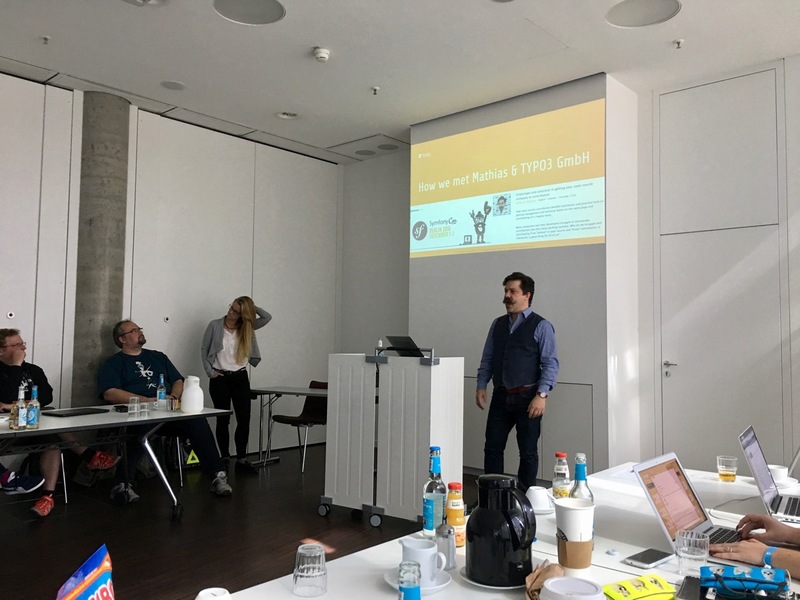 CMS customers tend to forget that TYPO3, the great product they are using is only possible with the help of many volunteers who need infrastructure, guidance, and events. TYPO3 codebase cannot be changed overnight. Hot trends do not magically appear as a feature in TYPO3. Luckily we have found a way to deal with such a situation: The initiation of the TYPO3 GmbH. They work as the first line of contact and coordinators of feature and marketing needs. Most of the conversations in the Meetups with the Agencies were about how a joint roadmap can be created, that has the right amount of certitude and commitment of all interested. Innovation will only be possible if stakeholders are clearly identified and display true and sustainable support to the innovators. One of the most striking and recurring experience is how the openness of the shared code leads to an open and constructive dialogue amidst the participants of our yearly meetings. Agencies, that are often pitching against each other in order to obtain the new projects of potential clients, are openly discussing under the moderation of our Association. In such case, the Meetings are a welcome peer comparison occasion. Insights here are unique and outweigh the time spent working on community goals. If you want to be part of such an experience I invite you to join us next time. I thank all of you who have been at a TYPO3 Agency Meetup!